The use of the term 'tipping point' is used to designate when momentum behind a new idea's adoption becomes unstoppable. “I think the same thing will happen in banking. People who are invested in us love xCurrent but they’re not sure about xRapid... I think it’s just the beginning." He compared xRapid adoption to a 'crawl-walk-run' situation, highlighting how remittance processors will be the first ones to verify and document XRP's cost savings. For clarity, understand that hundreds of banks are signing up to use Ripple technology. So many that Ripple discloses new xCurrent customers in batches; xCurrent is Ripple's replacement for most of the functionality behind SWIFT's messaging system. 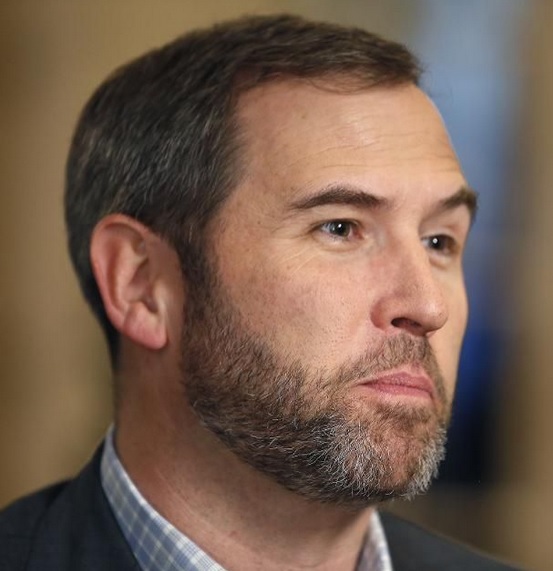 I like Ripple's quiet confidence regarding xCurrent and xRapid. If even XRP fans are left guessing which banks will be the first ones to flip the switch on using XRP as a bridge asset, you can rest assured that analysts from SWIFT are wondering the same exact thing. When correspondence banking starts to utilize xRapid for sourcing liquidity, and a who's who of the world's largest banks are using ILP for messaging, it's a sign that SWIFT's glory days are now in the rear-view mirror along with the status quo. Changing an industry is never an easy task, and it's taken Ripple more than five years to finally convince conservative financial institutions that using a digital asset can result in real-time payments that settle in less than four seconds. This statement arrives on the heels of France's decision to decrease the tax rate on cryptocurrency sales from 45 percent to 19 percent. The French government also has announced that it will look at creating a special regulatory framework to assist entrepreneurs with overcoming obstacles to starting new blockchain businesses. Coincheck suffered a black eye from the adverse publicity arising from the NEM hack in January of this year. 13 As a result of the hack, Coincheck received a business improvement order from the Japanese Financial Services Agency (FSA) on March 8th. 14 The exchange was allowed to continue operations as they made improvements, including implementing stringent KYC and AML requirements. To comply with KYC and AML, the exchange made the decision to de-list all trading of privacy tokens, due to the fact that the technology allows ease-of-use for those attempting to launder money or otherwise avoid detection. In fact, no exchanges that have applied to the FSA have listed any privacy coins. If you want to own and trade in XMR, ZEC, DASH, or REP, you'll need to work with an exchange outside of Japan. How does this affect XRP? It shouldn't impact XRP, other than the general benefit of a narrowing of choices on the exchange. Block Show is a series of events and conferences sponsored by Cointelegraph. The latest one occurred in Berlin, Germany, from May 28th through the 29th. Among the attendees and participants were David Schwartz (@joelkatz on Twitter and other social media) and Tiffany Hayden (@haydentiff on Twitter). When the panel discussion started, the facilitator asked David Schwartz immediately about the level of decentralization of the XRP Ledger, along with the utility of XRP. David Schwartz provided his perspective on those topics in a very intuitive manner. Question: "Is it (the XRP Ledger) centralized?" Answer (David Schwartz): "I don't think so. I think that's a buzzword that people define to create a criterion that their favorite project sort of "passes," and the projects that they like less, fail. I think that when people want a system that is decentralized, what they want is a guarantee that the system will treat everybody fairly; that there isn't someone who can arbitrarily change the rules; that the system will behave the same way next year as it does today." As always, David Schwartz provided his intuitive perspective on complex topics in a way that nicely summarized the logic - or lack thereof - of some of the points. Not every venue captures the genius behind his problem-solving skills, but this panel seemed to be a great example of his ability to quickly frame up complicated issues. The announcement then went on to explain the mechanics behind XRP's use in xRapid, which was a refreshing primer for any readers that didn't already understand the basics. With all of the remittance processors using xRapid and unanimously validating the cost savings associated with XRP's use, I predict that XRP owners won't have long to wait before utility-driven demand makes itself known. XRPWorld recently discovered that SBI Ripple Asia was due to speak at the Japan Society of Monetary Economics. "Interestingly, SWIFT will speak right before Mr. Okita on the subject of ‘Global Payments Innovation’ presented by Hiroshi Nakatake representing MUFG Bank"
I agree that it would have been quite interesting to see the SWIFT presentation and then Mr. Okita back-to-back. 19 Perhaps it was an intentional ordering of the presentations, so that listeners could be apprised about facts regarding the status quo vs. the new technology that is now being adopted en masse by global banks. The meeting was scheduled to take place on Sunday, May 27th at the University of Senshu in Tokyo, Japan. 20 From a few quick searches, it doesn't look like the Japan Society of Monetary Economics posts videos of their conferences, but perhaps eventually an audience member may upload a video of the conference. "Ripple provides an opportunity to reduce complexity of integration to enabled partners, standardise data protocols and formats and eliminate errors and reconciliation through use of blockchain distributed ledger technology"
"Pilot to enable more efficient cross-currency payments by reducing lengthy/unknown settlement times, eliminating multiple layers of cost and providing greater transparency over FX, fees and data shared between originator and recipient." While there is no specific mention of xRapid, I would assume that BOA is piloting xCurrent for usage as a replacement for SWIFT messaging. I also placed a question mark at the beginning of this section, because even though this second-hand account of the presentation is encouraging, there has been no formal confirmation or announcement of BOA as a Ripple client. Hopefully we'll see BOA or Ripple make a formal announcement in the near future. KFH is heavily owned by the Kuwaiti Investment Authority, which essentially handles investments for the Kuwaiti Sovereign Fund. KFH's reach extends internationally to several other countries, such as Bahrain, Saudi Arabia, Turkey, and Malaysia. The addition of KFH exemplifies that RippleNet is connecting all parts of the global banking system, including those economic powerhouses that exist in the Middle East. The Kuwait Finance House (KFH) and the National Bank of Kuwait both announced their RippleNet membership within three days of each other. It appears from its currency pairings that Coinome offers fiat support for INR (Rupee), although I have yet to receive confirmation from Coinome on whether this applies to XRP as well. Regardless, this new listing is a welcome addition to XRP's presence on the subcontinent, and hopefully it adds to the amount of INR trading that we can utilize for the overall XRP network. To participate, please access and fill out one of Clair's questionnaires so she can plan for an appropriate venue and other factors. It's great to see XRP's European fans have an opportunity to meet with representatives from Ripple, as well as have an opportunity to connect in the brick-and-mortar world with each other. "Voting is set to start on June 1st and last for one week." Images may not contain defamatory, controversial or graphic imagery. Submissions may not contain trademarked components. Submissions that impinge on existing marks will be removed prior to voting. Images must be easy to write by hand, and need to scale well (think 8 point font). A brief, written description of the symbolism must accompany each submission. Voting itself will require users to authenticate with their Twitter login credentials. If they are a confirmed Twitter account, they will be allowed to vote once. @xrpsymbol indicated that three XRP community members helped him with the website, along with the subsequent Twitter authentication. Any effort to arrive at a new design - for anything - necessarily involves personal taste and aesthetics; Not everybody will agree with the winner, but I can't wait to see which symbol obtains the most votes. Whatever the reason or background, the listing on the Apple Stocks app created a certain level of buzz following the high-profile appearance by Ashton Kutcher on the Ellen DeGeneres Show. Those that follow news about initial coin offerings (ICOs) may already have some cursory knowledge of the Naga wallet. The Naga ICO closed in December of 2017. They are now executing their business plan and have created a multi-currency wallet to allow investors to purchase and store various cryptocurrencies. "NAGA WALLET users can store, send, and withdraw all of the major cryptocurrencies, as well as 1,200+ ERC-20 tokens." There are several highly-reputable wallets that support XRP, however it's always great to add another highly-functional option to the list. I look forward to hearing about the user experience of the first adopters that choose to purchase and store their "zerps" with this wallet. The innovations were developed quickly by two XRP Community developers: @WietseWind and @baltazar223. While WietseWind developed a method whereby users can text XRP to other users - even those without an XRP wallet - baltazar223 developed an application that integrates with another popular messaging platform: Telegram. "Please note! This project is in public beta. There may be glitches. I (we) won't accept liability for any loss of funds." XRP will reach its tipping point with momentum to spare, and in fact it may have been reached already. What inspires my confidence regarding XRP's success, and why do I believe that the tipping point for adoption of this digital asset is close - or even in the past already? "The success of any kind of social epidemic is heavily dependent on the involvement of people with a particular and rare set of social gifts"
Connectors: The people in a community who know large numbers of people and who are in the habit of making introductions. Mavens: The people we rely upon to connect us with new information. Salesmen: The charismatic people with powerful negotiation skills. When I look at the above descriptions of the three groups largely responsible for social change, I cannot help but overlay the descriptions onto various people in both the XRP Community and those that work directly for Ripple, the company. In fact, I'd venture to say that some individuals seem to possess all three characteristics. And when it comes to company leadership, each executive within Ripple rates highly against each of these three descriptions. When you conduct your own research into various other cryptocurrency networks, teams, and projects, look for yourself at the composition of the individuals involved and determine if they rate as strongly as the team that comprises Ripple. When it comes to real, tangible business results, there is no other fintech company that has achieved what many naysayers thought was impossible: the utilization of blockchain technology to achieve real-time settlement of payments across borders. Thanks to four remittance companies verifying its cost savings, we are now looking to the world's correspondence banks to follow suit; it's time for the worlds' economies to benefit by usage of XRP.